So, as you all may know, I am very new to blogging. I absolutely love all of the blogs that I read (you can see a lot of my favorites on my "Favorite Blogs" tab above) and envy the natural talent that many of those women have. 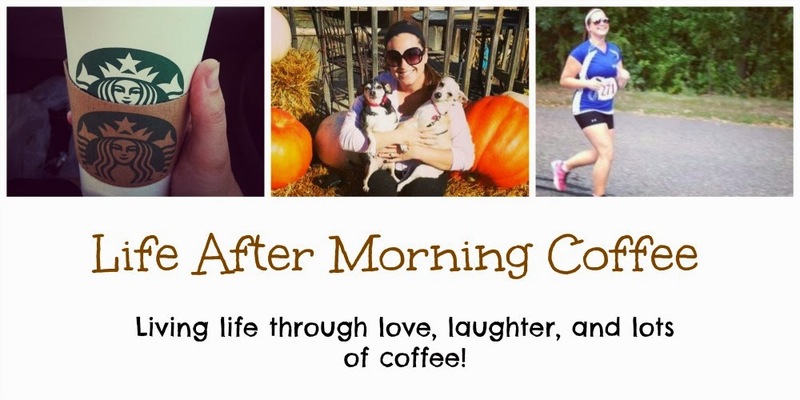 Blogging is such an amazing way to log your goals, accomplishments, and day-to-day thoughts/emotions. I also find it a great way to look back at moments in my life (such as Terry's proposal!) and read exactly what I was feeling at that time. While reading my favorite blogs within the past few days, I have heard a lot of anger over Google Reader announcing its end. Although I never took advantage of Google Reader, many bloggers use it to "follow" their favorite blogs and get alerts whenever those blogs are updated. It's kind of like Facebook/Twitter for blogs. Since Google Reader is shutting down, many bloggers have mentioned that www.bloglovin.com is a great alternative. So, I checked it out. This picture is kind of hard to see, but it's a screen shot of my computer. 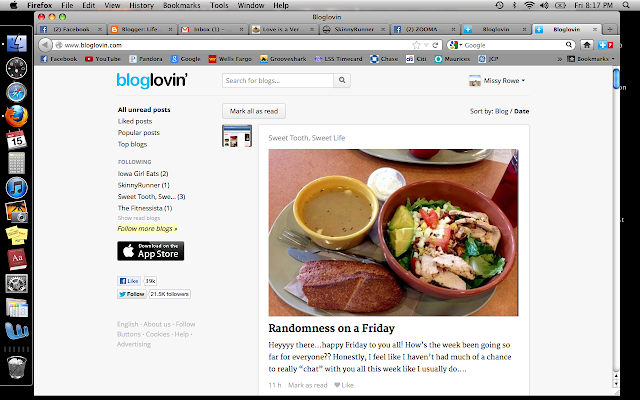 On the main screen of bloglovin', it has all of the recent updates to all of the blogs that I follow. If I don't happen to be on the website, there is a little blue + sign on the top right of my window that shows how many blogs have been updated since the last time I checked. You can get updates to blogs you follow through Facebook as well. There's an ap called Networkedblogs. Just search for it using the Facebook search. You can add your blog and link to and follow other blogs.